But, my brief time spent in the juror's lounge was not wasted. Surrounded by a random mix of people from all sorts of backgrounds, careers, and situations, I soon realized that I was in an excellent position to do some guerrilla consumer research! Think about it: more than 200 people with no discernable thing in common, all packed together in one room, with nothing to do with their time but wait. It was the ultimate melting pot of consumers, and the perfect place to gain some insight. No surprise here. We all know that people are busy. Heck, we're all busy. I'm surprised that you've even taken the time out of your busyness to read this blog post! But Jury Duty, you see, is the ultimate test of whether this is really true. It forces people to, for the most part, let go of their everyday lives and spend five or more days sitting around at the court house, waiting for their panel to be called. No friends, no family, no internet. Nothing but a cell phone to keep people in contact with the outside world. My first observation: if people were truly busy, there wouldn't be here. There are plenty of opportunities, and methods, for getting out of Jury Duty. Other than sickness and emergencies, being extremely busy either at work or at home is a valid reason for being excused (or at least having their Jury Duty postponed). So, it's obvious that although people felt busy, and felt like Jury Duty was a waste of their time, and felt like they had too many things to do, they obviously weren't busy enough to get out of their jury time. Here's the kicker, though. Regardless of everyone's true state of busyness, busyness is all people think about! Even when, with Jury Duty, they are given a five day excuse to not think about work and not deal with daily chores, all most people thought about was how busy they were. About how every moment spent in the court house was one less moment spent in their busyness. I realized that busyness was less of a physical restraint, and more of a state of mind. As an advertiser, how can one breakthrough and connect with the mind of this fickle, self-absorbed creature? A jury panel is the ultimate mix of consumers. Thrown together in one room, you have people with a wide range of careers, backgrounds, and world-views. The person on your left may be a man who's unemployed, and has been looking for work for a long time. The one on your right could be a Bay street CEO. The woman behind you could be a stay-at-home mother who runs her own business, the guy in front of you could be a kid struggling to make it through college. It's a melting pot. But despite the panel's rich randomness and diversity, I observed that everyone seemed to be in tune with each other. We were all on the same wavelength (especially when it came to our feelings towards Jury Duty, haha). You could easily strike up a conversation with the man who's unemployed, the CEO, the stay-at-home mom, and the student, and you'd both have similar thoughts or feelings to share. Although from an extreme variety of different walks of life, everyone in the room felt like a collective—like a singe unit of being. As an advertiser, how can one appeal to our universal wants and needs? There was one point in my three day Jury Duty adventure that did not involve waiting around with fellow jurors in the lounge: it was the time my panel was selected to provide the jurors for a trial. All of a sudden, without any word or warning, we were snapped out of our cloudy daze and marched up into the cold, forbidden courtroom, where we could potentially be chosen as a juror in a criminal trial. Things got serious. The fifty of us sat, in the back of the courtroom, in silence, with the tension creeping even higher as the Judge read out the details of the criminal case. The lawyers each introduced themselves, before the Accused was asked to turn around and face us. After we had heard the grim details of the charge, the Judge then proceeded to explain and educate us on the importance of being a juror. All of the power during the trial—the power to decide whether the Accused was guilty or innocent—was in our hands. The change in people's moods was astonishing. 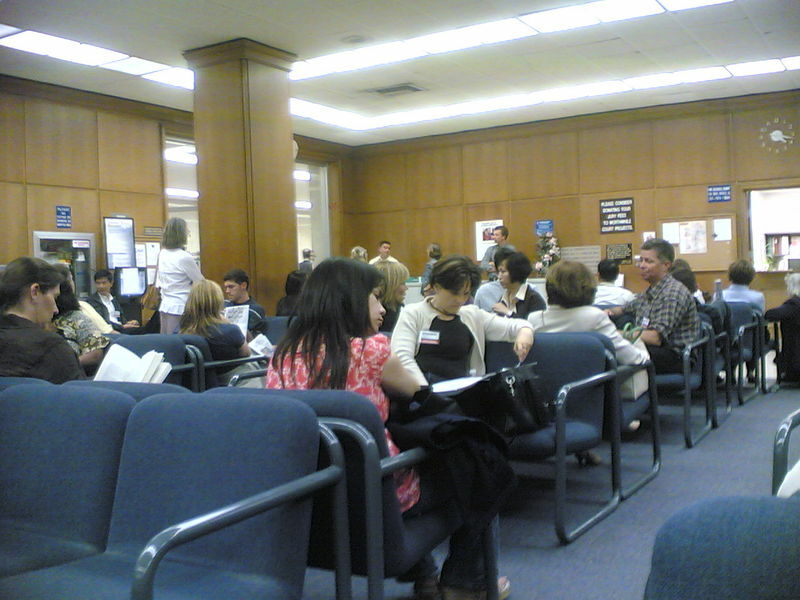 Despite the lackadaisical attitude that many had in the juror's lounge, when put into an important situation and given important instructions, people became laser-focused. You could cut the tension in the room with a knife as the jurors waited quietly, listening to hear if their number would be called. Those who were called up to face the lawyers walked with an air of importance, their mind now completely aware of what was going on. The seriousness and heaviness of their situation forced them to listen up. As an advertiser, how can we get people's focused attention? Three days spent in Jury Duty, three insights learned about consumer behaviour. People act with busyness as a state of mind—and so breaking through this mindset is essential. Despite our differences, we all have the same needs and desires—tapping into these will be key. Finally, when shown that they are in an important, relevant situation, consumers will give you laser-sharp focus.